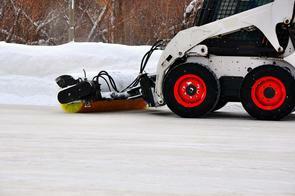 Snow Removal Services Boston currently services Boston and the greater Boston area. If you’re within twenty miles of Boston, we have a service for you. Whether you’re a commercial enterprise downtown, or a residential home in Quincy, you’re in our service area. All of our snow removal services are available in our service area, making us Boston’s most expansive snow removal company. Our snow removal services service all of Boston. Whether you’re in Jamaica Plain, East Boston or Hyde Park, if you call Boston home we have a service perfect for you. Our snow plow services, sidewalk shoveling services, and hauling services are always one phone call away if you’re located in near Boston. There’s literally no property we won’t visit, or area that we won’t go to when it comes to our comprehensive snow removal services. If you’re curious about our residential snow removal services or commercial snow removal services just reach out. We provide complimentary quotes and location visits to all interested Boston residents. There’s never any obligation and we’ll always work within your budget. If your commercial business is at the docks, we’ll provide snow removal service for you. From shoveling out loading bays, to clearing parking stalls, we’re one of the only snow removal companies in Boston that has the equipment to tackle the docks. Whatever your business does, shipping or receiving, storing or transports, we always have a service solution conducive to the needs of the businesses located by the water. However icy, snowy, or seemingly treacherous the job, our team of experts can easily accomplish any project with our superior equipment and diverse line of products. We service all towns and cities within a 20 mile radius of Boston, and since Boston is quite big, that means we service an incredibly large area. From Somerville to Quincy, Waltham to Norwood, our vast and expansive service offerings include all of the communities lying just beyond Boston’s border. With so many outfits, numerous machines, and an entourage of snow professionals, getting to your location has never been easier. We’ll bring all of the equipment, the personnel and the products to make sure that you’re living the way you want to this winter season. We get calls all of the time for people in need of services beyond our service area. If you’re in need of snow removal services we want you to reach out. While you may not be in our service area there are often different ways we can help you. From charging mileage, to recommending a closer and trusted company, we’re always here to help you figure out a solution to your problem. While we do not provide routine snow removal services beyond our service area, we are often able to help out in emergency situations. To see if we’re able to assist you please visit our contact page and be ready to provide as many details as you can about your location and project.